2-Player Xylo is a fun musical instrument that lets you play a realistic-sounding xylophone with 2 people at once. Take 2-Player Xylo anywhere and share it with your friends! Download on multiple devices and play with 4 or more people! With 2-Player Xylo you can play individual notes or chords. 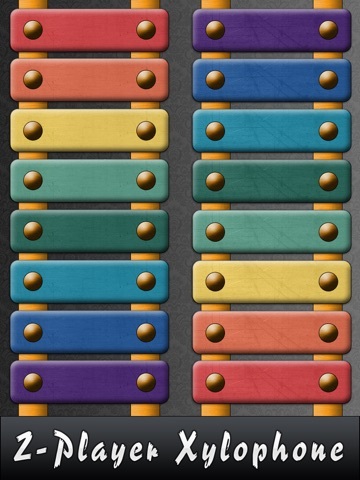 Join with friends to create the ultimate xylophone group.